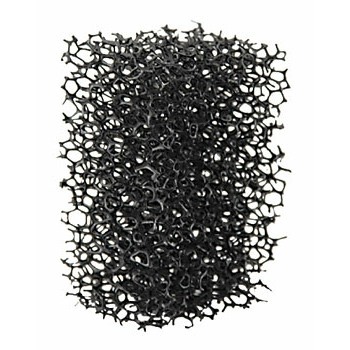 Grimas Stoppel Sponge is a sponge with a coarse structure, intended for various make-up effects (for example beard stubble and grazes). It can be used for all kinds of make-up. Hold the Stubble Sponge between the fingers and compress it slightly, so that it becomes a bit convex. Take a little of the required make-up and dab it with the sponge onto the hand to test the colour intensity. Then work dabbing onto the skin: do not use a brushing motion, since you would remove the structured effect. For reasons of hygiene, do not use the same Stubble Sponge on more than one person. Rinse the Stubble Sponge out by hand each time, and then wash it in the washing machine at a temperature of at least 60°C. Use a washing bag or a pillowcase to protect both the Stubble Sponge and the washing machine.